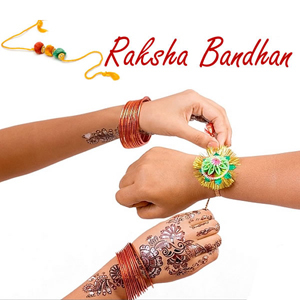 Raksha Bandhan is a special festival that signifies bonding between brother and sister. On this wonderful day, sister knot a thread, Rakhi on her brother’s wrist and wish him a good luck. The brother promises to protect her in every situation of her life. Brother also gives her gift as a token of love. The usual Raksha Bandhan gifts given by brother are cash, accessories, clothes, jewelry, a box of sweet etc. Instead of giving conventional Raksha Bandhan Gifts, this year you can think of giving a unique gift to your sister, a financial security. In this post, I have listed 10 Financial Raksha Bandhan Gifts for your sister. The first unique Raksha Bandhan Gift for your sister is Mutual Fund SIP. Mutual fund SIP can help your sister to fulfil her dream. A dream could be starting new business, a holiday abroad or anything else. A mutual fund SIP can help her to build a big corpus systematically. This would be a better and unique gift compared to a traditional materialistic gift. You can start a SIP with Rs.500 and increase gradually. A second unique Raksha Bandhan Gift is a fixed deposit. Instead of giving cash fixed deposit is much better option. Fixed deposit give good interest on invested money. Select a good nationalize bank and make fix deposit on the name of your sister. A third unique Raksha Bandhan Gift is equity. Equity is a risky investment option, but you can invest in good scrip and give as a gift to your sister. Believe me, this is the best gift for long-term. You can purchase either new share or transfer shares from your demat account as a gift. Gold a yellow shining metal can strengthen your sister’s financial security over the long term. It is indeed a deserving gift for the Raksha Bandhan. Instead of giving cash you can think of giving Gold ETF to your sister. Gold ETFs are open ended fund that tracks gold prices. The value of each gold ETF is equal to 1 gram of gold. This Raksha Bandhan you must consider gifting Gold ETF to your sister. This will surely safeguard future of your sister. The next Raksha Bandhan Gift is gold or silver. It would be a special gift to her. As it will give additional financial security to her. The gift here would be in physical form. You can either give it in form of jewelry or in form of coin. Systematic Withdrawal Plan (SWP) is another very good gift for Raksha Bandhan. SWP provides a regular source of income to your sister. If she is newly married and looking for a regular source of income SWP would be a smart gift to her. You can help her to setup SIP and opt for SWP as per her future requirement. Another unique gift would be buying a medical insurance policy on her name or renewing a medical insurance policy for her. Due to change in lifestyle, stress, lack of physical exercise may cause a critical illness. Covering your sister with medical insurance would help her during a difficult time. The next gift would be helping her in paying off her liabilities. Well, this could be an unforgettable gift to her. You can help your sister in paying her debt to whatever extent possible. In addition to that, you can guide here or attach herewith professional that can help her in reducing her debt. If your sister is young you can gift her new bank account. You can deposit amount you wish to desire as a gift in this account. Moreover, you can teach her how to operate a bank account. This would be her first step towards the financial world. A last Raksha Bandhan Gift idea is simple. You can visit any bank and ask to prepare a preloaded gift card ranging from Rs.500 to Rs.50,000. If your sister is fond of shopping this would be an ideal gift for her. I hope Raksha Bandhan Gifts mentioned above will help you in deciding your gift. If you have thought of any other Raksha Bandhan gift do share it in the comment section.